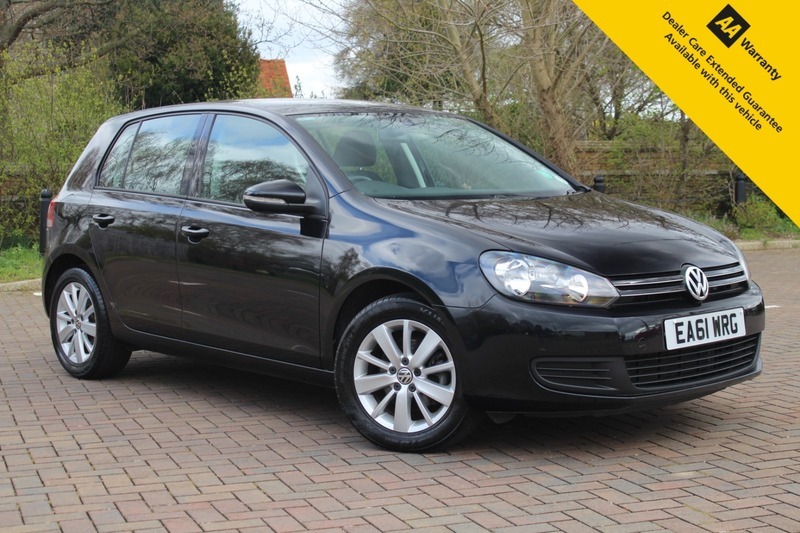 Here for sales at Leigh Cars Ltd we have a WONDERFUL 1 OWNER LOW MILEAGE example of the popular Volkswagen Golf 2.0 Tdi Match 5dr Hatchback. This particular example is finished in superb metallic black and comes with some GREAT specification INCLUDING AIR CONDITIONING, ALLOY WHEELS, ELECTRIC WINDOWS & MIRRORS, BLUETOOTH HANDS FREE, USB + MP3 CONNECTION, CRUISE CONTROL, AUTO LIGHTS + WIPERS, FRONT + REAR PARKING AID. The vehicle is in IMMACULATE CONDITION INSIDE AND OUT and has a BRAND NEW ADVISORY FREE MOT and a BRAND NEW SERVICE - BOTH COMPLETED OCTOBER 2018 @ 23,159 miles. This example boasts a SUPERB SERVICE HISTORY - 5 STAMPS IN TOTAL! This car is ready to go home to its lucky new owner. With LOW INSURANCE COSTS - GROUP 9 and only costing £120 IN ROAD TAX PER YEAR, this car will be financially economical aswell as reliable and practical for all uses. This economical well built solid German engineered Volkswagen 2.0 Tdi engine will return a COMBINED MPG FIGURE OF 57.7 so running costs are not an issue with this particular car. As we are an AA APPROVED DEALER you will receive 12 MONTHS AA COVER FREE OF CHARGE along with a warranty, which can be extended up to 36 months if you wish. LOW RATE % ZERO DEPOSIT FINANCE IS AVAILABLE ON THIS CAR - VISIT OUR WEBSITE TO BUILD YOUR QUOTE TODAY. APPLY DIRECTLY ONLINE FOR A DECISION IN MINUTES. We also offer part exchange and provide nationwide delivery subject to conditions. Why not ask about our LOCAL HOME APPOINTMENT SERVICE we offer? We are a 5 star rated dealer - CHECK OUT OUR REVIEWS ONLINE. We have also just been awarded with THE CAR GURUS TOP RATED DEALER FOR 2018 award. We are proud of the level of service we provide and we take special care in ensuring you have a purchase experience and aftercare service like none other. QUALITY CARS YOU CAN TRUST.